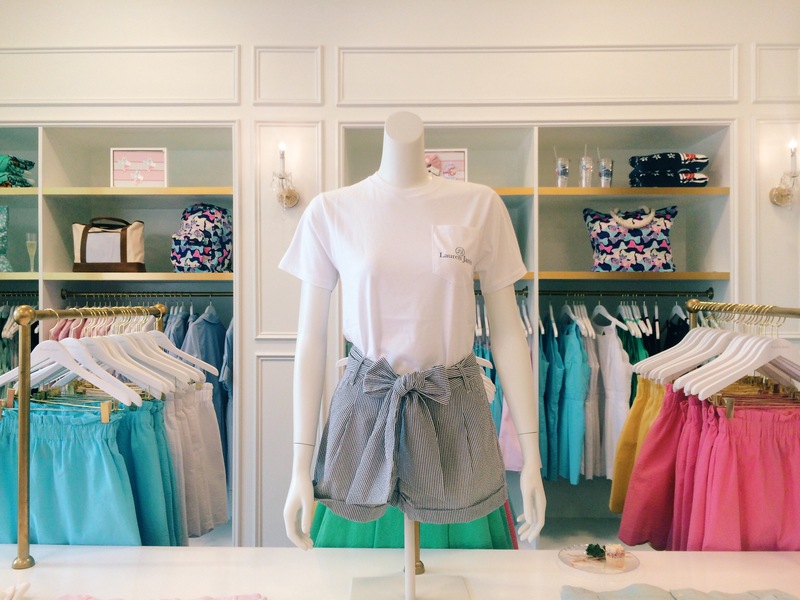 Last week, Lauren James opened their first store in Texas. Lauren James was founded mid 2013 by registered nurse turned fashion designer. Inspired by the classics and driven by modern styling, Lauren strives to capture a look that’s unique yet timeless. I adore the Lauren James brand, so I was flattered when I was invited to the VIP soft opening event. The founder Lauren herself was there and I got to chat with her a little bit. Her passion and love for her brand is truly inspiring. About a year ago I interviewed her for a special feature on my blog where she gave me an inside look at her brand (read more here). They have a store in Fayetteville, AR where the brand got their start, but they chose to open a store in Dallas because all of their dresses are made here (I just learned that – isn’t that awesome?). They also have another store in Southlake opening in just a few weeks! They are planning on more stores popping up soon, so be on the look out in your town! The night included hors d’oeuvres, champagne, photo booth fun and more! I enjoyed speaking and getting to know the girls who work on the brand every day. The store was packed and each girl was given an amazing swag bag! If you are in the area you should stop by the beautiful new store front in Plano, and if you aren’t than check out their gorgeous dresses online. Welcome to Texas, Lauren James!